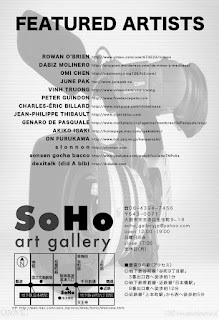 I would like to invite you to the International Video Exhibition, at Soho Gallery. 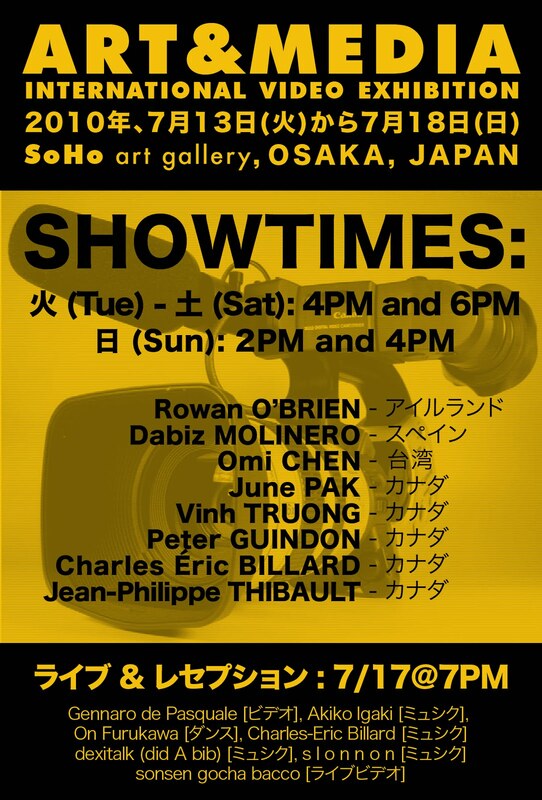 Some of my recent videos will be shown, and I will take part in the closing reception with five super talented sound artists, musicians and video makers. 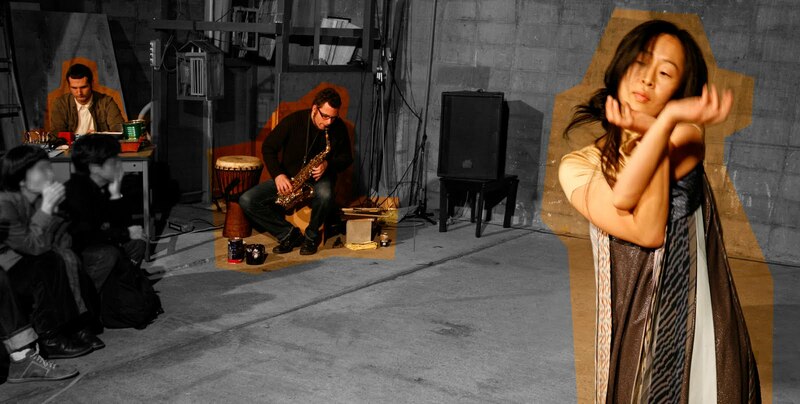 Please come to the event and spread the word! 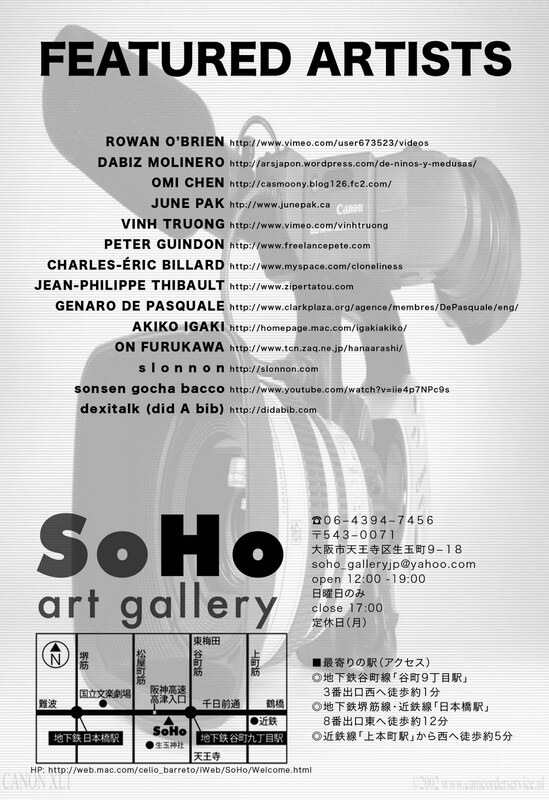 International Video Exhibition featuring the works of Rowan O'Brien, Omi Chen, Dabiz Molinero, June Pak, Jan-Philippe Thibault, Vinh Truong, Charles Éric Billard and Peter Guindon. 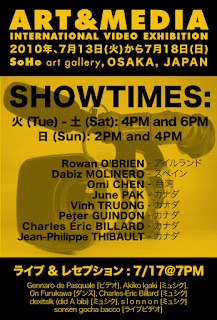 Sunday July 18th: 2PM and 4PM.